The new Collar by Seresto will give you a long term way to protect your dog from biting parasites, Fleas and Ticks that can infest your dog and pass on diseases. How does it work? 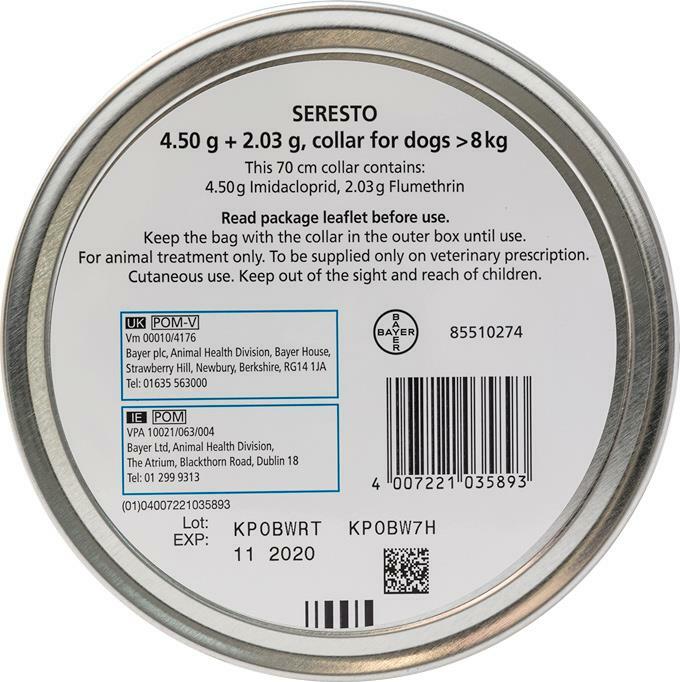 The Seresto collar releases a low dose off its active ingredient to kill of fleas and ticks and prevent re-infestation for up to 8 months. 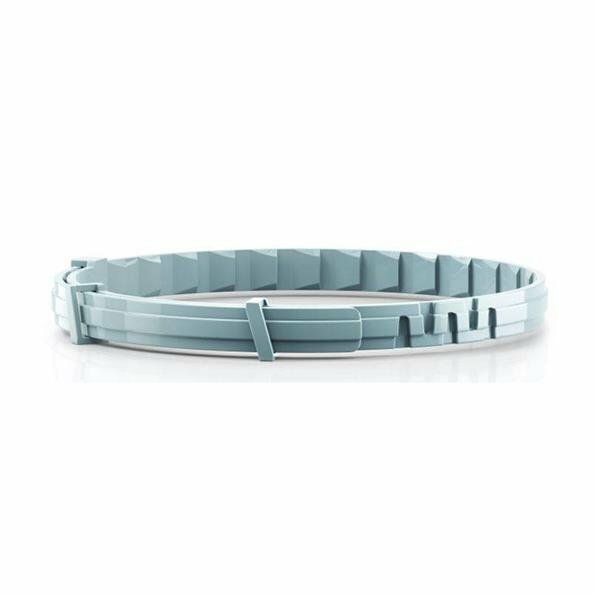 This new collar means you can forget about monthly treatments which can be easy to miss. For dogs over 18 lbs (8 kg.) this Seresto Tick and flea collar is a safe, odour free, water resistant easy to use method of protection It is non greasy, so easy to handle and once placed on your dog will stop fleas and ticks in their tracks for up to 8 months! My dogs weigh between 65 pounds & 100 pounds. Will the large seresto collar work? Yes, it will work for your dog. The collar is 27. inch, so please make sure it'll fit. I have 2 large st. bernards weighing 150 lbs. each. How long will it take for these to work. How long does it take to reach full effect? After application, Seresto provides the pet with immediate protection against fleas and with repellent protection against ticks within 48 hours. Can I also apply monthly drops to my dog when she is wearing a Seresto collar? Yes you can do that but in most cases there is no need unless the drop you are using is for worming. Seresto covers only tick and fleas. Best prices around! Shipping takes a while but totally worth It! 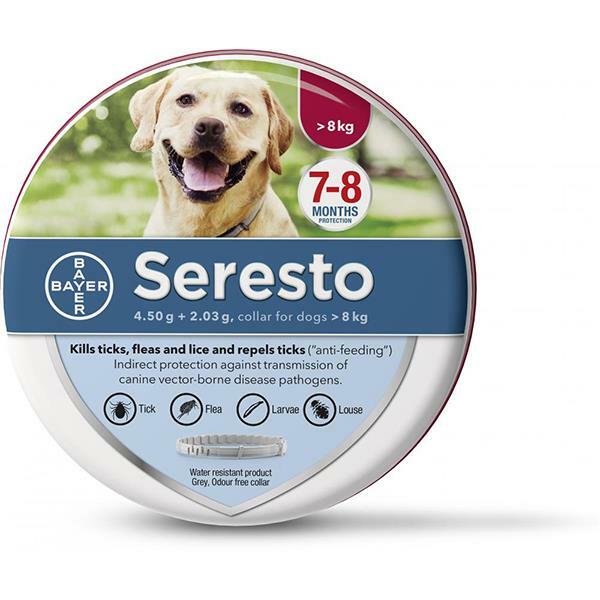 Seresto collars have kept our Labrador Retriever flea and tick-free since we have been using it! My two dogs go to a conservation area twice a day.There were no signs of ticks,fleas or lice for the 8 months that they were used. This is my reason for this re-purchase. I love this collar. It works well and the fact that it lasts 8 months is a plus. The best flea and tick product that I have found!! It lasts for 8 months so I get GREAT value for my money!